Bananas don’t grow on trees. They actually grow on the world’s largest herbaceous flowering plant and what appears to be the trunk is actually called a corm. So, it is actually a large perennial herb. This was news to me. 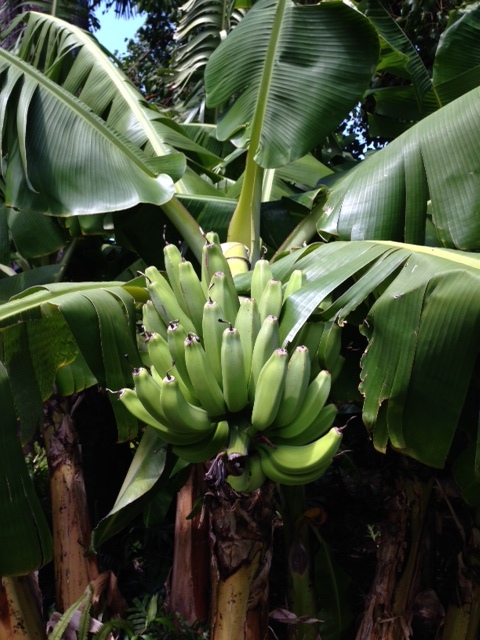 This was a banana plant we admired in Maui last month. My favorite bananas are the apple bananas, which are often found in the farmers’ markets in Hawaii. They are tiny, sweet and the perfect snack. We learned that the Big Island is actually the largest domestic producer of bananas in the United States. 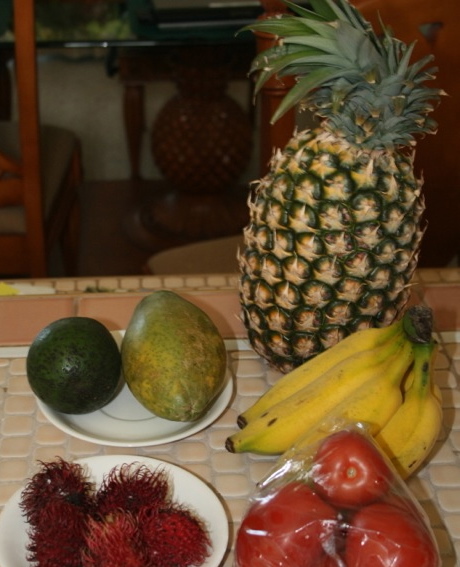 Here’s a sample of what we might find at a visit to one of the wonderful farmers’ markets on the Big Island, including the candy-like apple bananas. Earlier this year, I wrote about what is perhaps the best use of bananas I have ever witnessed: A bananarama smoothie from What’s Shakin’ on the Hilo side of the Big Island. In the Midwest, we are bracing for more April rain and snow, so the thought of flying between two of the Hawaiian islands sounds like a dream. 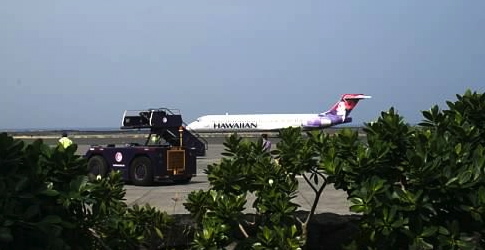 If you fly into Honolulu and it’s not your final destination, you will likely take an interisland connection on Hawaiian Airlines. 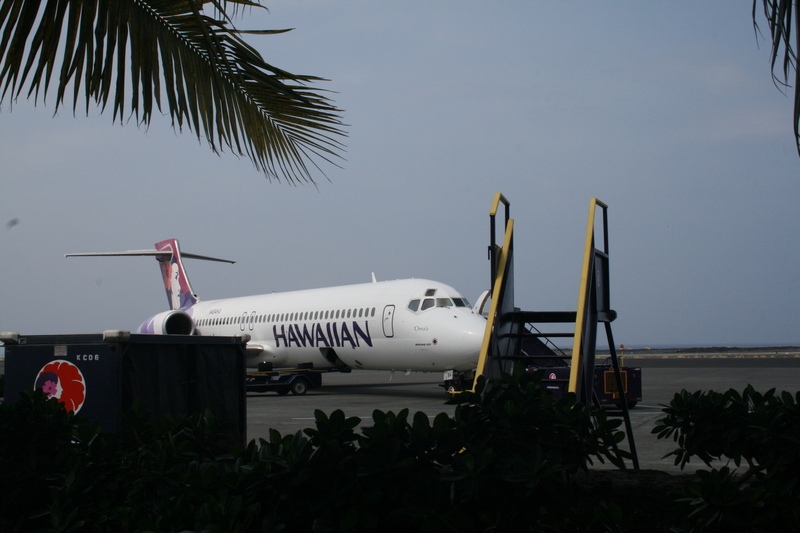 There are other airlines serving the Hawaiian islands with interisland flights, such as go!, Mokulele Airlines, Pacific Wings and Island Air, but we have always been automatically booked on Hawaiian with a major airline connection. We have always found these flights to be at or near capacity. It would be interesting to know the number of visitors to the islands on these flights and the number of Hawaiian residents who commute or visit another island, perhaps even on a regular basis if they live on one island and work on another. If you are traveling to the Big Island and fly into the Kona International Airport, you will exit the airplane directly onto the tarmac down stairs—no jetway. 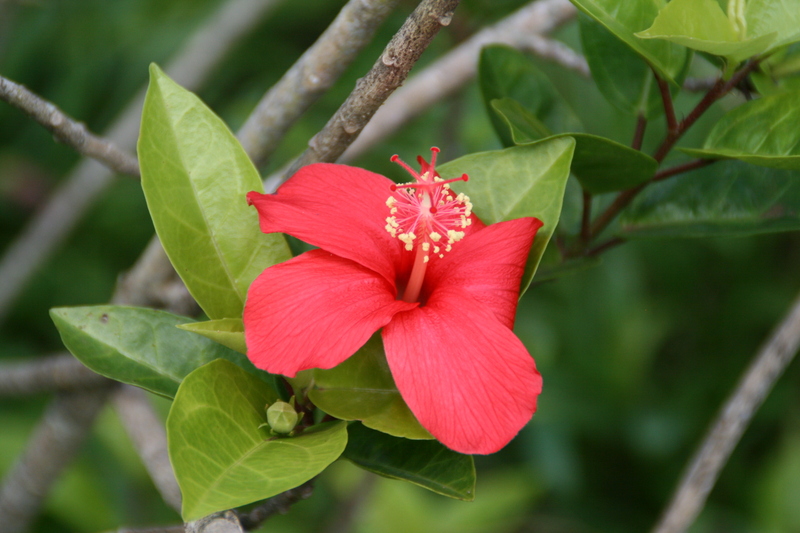 I think it adds to the charm and feeling like you are landing on a tropical paradise. As you make your way to baggage claim at Kona International Airport, you’ll walk through the open-air gates past a lovely statue of hula dancers. No, you will not be greeted by someone who puts a lei around you as you descend the stairs from the plane. This only happens in the Brady Bunch. If you fly into Maui and would like to visit Lanai, there is a ferry that departs from Maui and Lanai about five times back and forth each day. This is purely anecdotal and I do not have any statistics to back it up, but many Hawaiian residents we have met over the years mentioned that they vacation in Lanai. I have always wondered where Hawaiians would vacation since they are all blessed to live in paradise year-round. 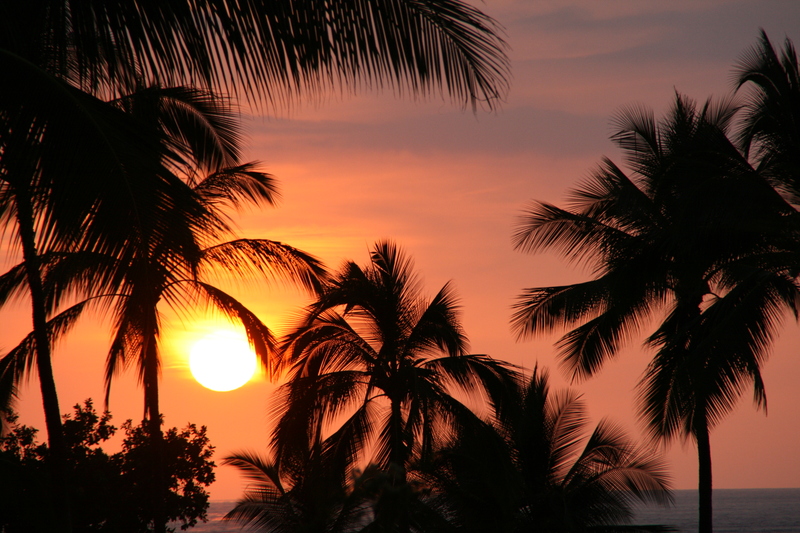 Many people choose to visit more than one island during a trip to Hawaii. Planning for interisland flights is still somewhat overwhelming for me. For instance, a few years ago we planned a trip split between the Big Island and Kauai and in order to get from Kona to Lihue, Kauai, we first needed to fly back to Oahu. Hawaii—not the easiest or quickest place in the world to get to, but so worth it once you arrive and get settled after your flight. Pack light and stay a while. 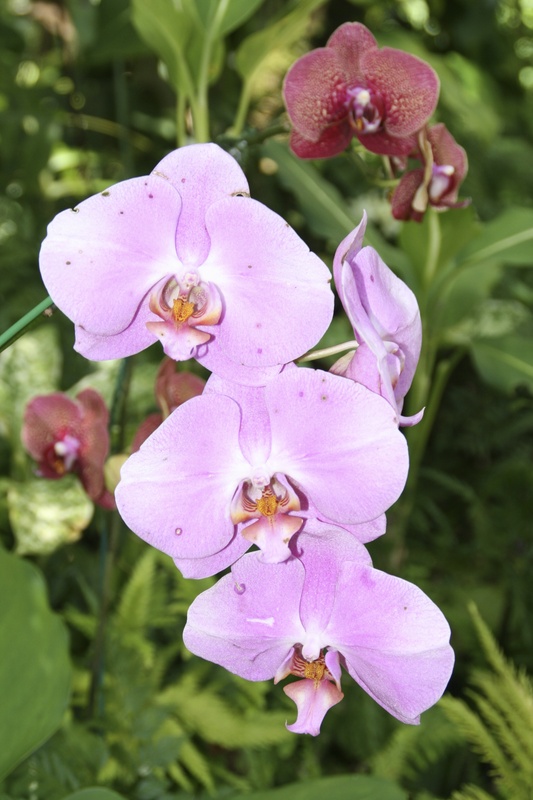 Our next stop is Kauai—the Garden Isle.